FIEC Congress (London, July 5-8, 2019). 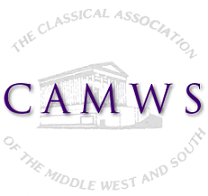 “We are now able to confirm the fee levels for FIEC 2019 in London and we are delighted to announce that (thanks to the generosity of the Classical Association) we have been able to hold and even reduce the fees in comparison with FIEC 2014. Late booking (after 1 April 2019): full rate £245/concessions £68.